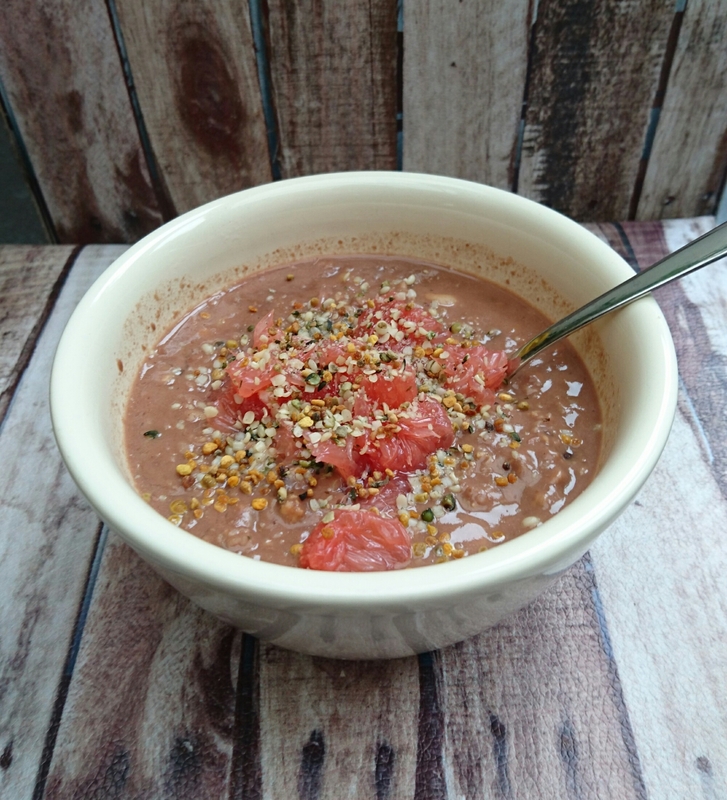 A tasty variation to your regular oatmeal: with chocolate and orange (a golden combination if you ask me!). 40 grams of cut oats. 200 ml of milk (of your own preference. I used unsweetened soy milk). Add the oats and the milk to a pot and bring to the boil. Add the cacao powder and honey and stir until it’s all well mixed. Let it simmer for about 10 minutes. Once cooked you can poor the oatmeal into a bowl. Add the pinenuts and orangejuice and stir well. Don’t add the juice while the oatmeal is still on the fire because the heat will make the taste bitter. Now add the pieces of orange flesh and sprinkle the hempseeds and beepollen on top. PS. I add the beepollen because I have hayfever. When eating beepollen you consume a small amount of pollen. It’s said that this stimulates your body to make it’s own ‘antidote’ against the pollen so you can handle it better. Haven’t checked yet if there is scientific proof for this, but I thought it is worth the try, since I can’t use the regular medicins during my pregnancy. Not suffering from hayfever? Beepollen provide you with lots of vitamins and minerals as well, such as B, C, D, E, beta carotene, calcium, selenium and magnesium. You can always choose to eleminate the beepollen from the recipe. PS2. Don’t have any hempseeds? Not a problem, removing the hempseeds from the recipe won’t affect the taste. 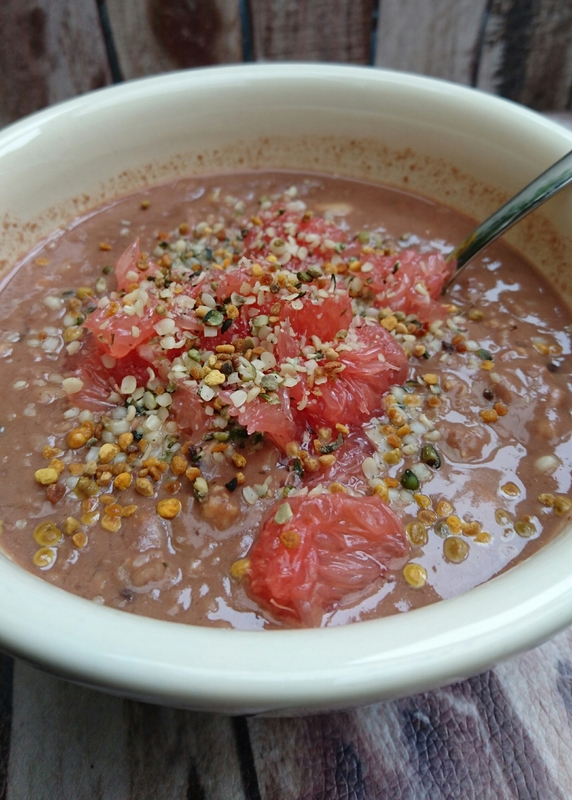 I add the hempseeds because they are high in protein, vitamin E, Omega-3 and Omega-6. So it might be interesting to try them sometime. Posted in Breakfast, recipesTagged breakfast, fruit, healthy breakfast, oatmeal, oatsBookmark the permalink.